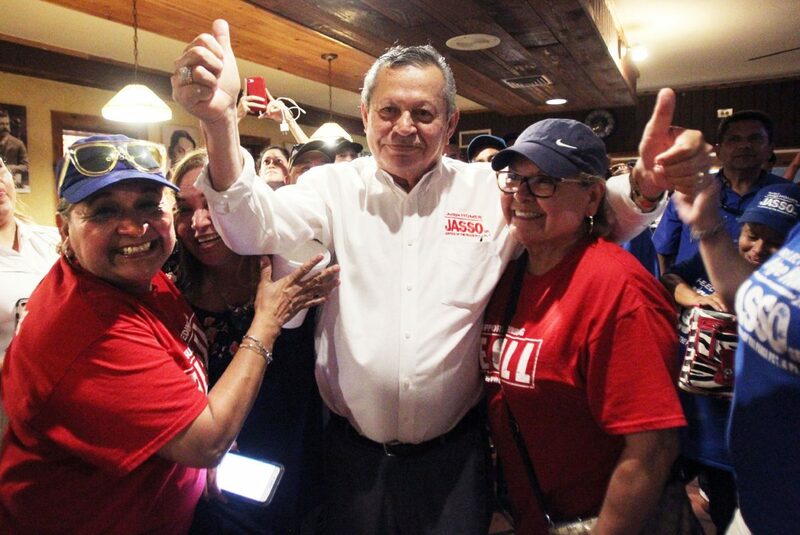 Justice of the Peace Homer Jasso celebrates with Julie Carcano, Mary Alice Palacios and Janie Zamorano and supporters after his runoff victory at My Place Cafe in Edinburg on Tuesday, May 22, 2018. 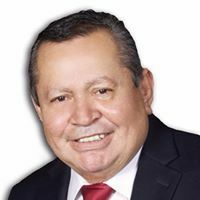 EDINBURG — Homer Jasso Sr. narrowly defeated Edinburg attorney Armando M. Guerra for Justice of the Peace Precinct 4, Place 2 Tuesday night. 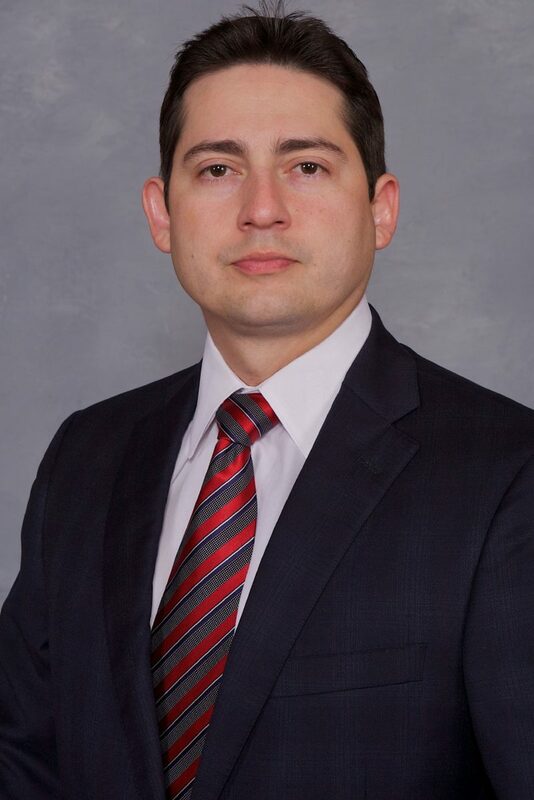 Jasso, who has held the seat for a total of 16 years, managed to beat Guerra by 158 votes. The incumbent obtained 52 percent of the vote compared to Guerra’s 48 percent. The election delivered a win to a well-established political faction that recently lost control of the Edinburg City Council. The hard-fought battle for JP of that same area played out on social media as much as it played out at the polls, with supporters on both sides attacking each other. Perhaps the most striking development occurred last week outside the Hidalgo County Elections Annex, where both teams were caught on camera in a scuffle that almost turned physical. Laura Jasso celebrates with her father, Justice of the Peace Homer Jasso Sr. and Edinburg City Commissioner Homer Jasso Jr., after Jasso Sr.'s runoff victory at My Place Cafe Tuesday, on May 22, 2018 in Edinburg. Both candidates, who did not return calls seeking comment once the final results were announced, were seen campaigning outside the Edinburg poll Tuesday night, making a last ditch effort to lure voters. 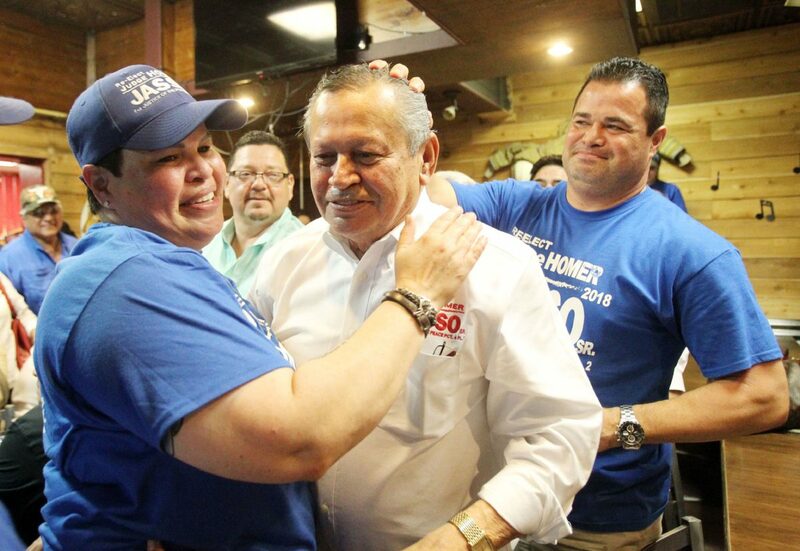 “I feel very good; I feel very confident,” Jasso said before the results came in. A hopeful Guerra said Tuesday afternoon he had done everything is his power during the primary and Tuesday’s runoff to win the seat. The challenger said he wouldn’t regret running if he lost his bid for the seat. Jasso had kind words for his challenger. Still, Guerra hoped voters would deliver change, but he remained grateful for his support.